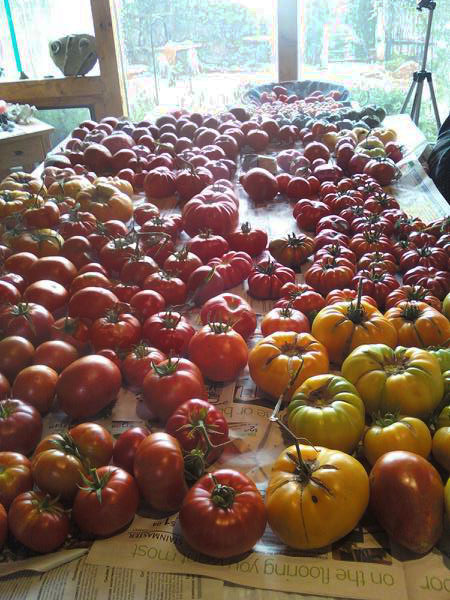 Lately I’ve been getting some questions about tomato seeds not germinating from more than one grower and thought I should address some of the problems and offer some helpful tips. If you haven’t started your tomato seedlings yet, you should start now. You have 6 weeks until May 15th which is the last average freeze date here in Santa Fe. You can still get a good head start if you plant soon. 1. Tomatoes do not like cool soil. 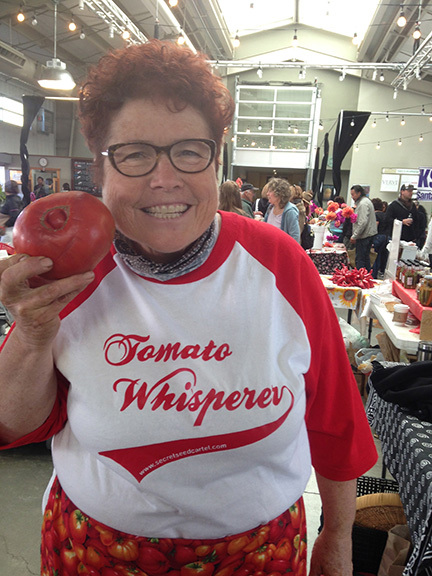 Soil temperature in the 60’s is too cold for tomatoes. 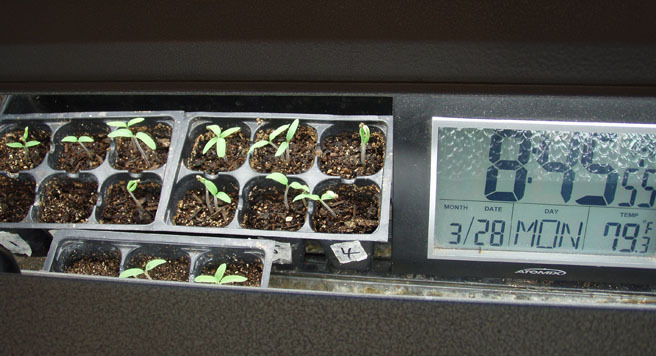 Tomatoes, peppers, eggplants like it very warm to germinate (in the 70-80°F). Some people put them on top of a refrigerator where it is warmer. Even if your days get warm where ever you live, if your nights still get chilly (i.e. in the 60’s), they shouldn’t be outside. Period. 2. 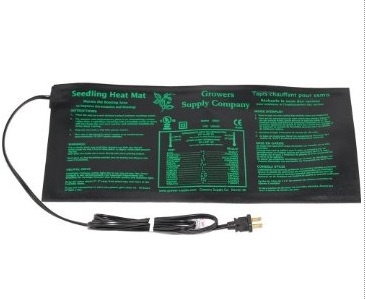 Get a plant germination heating mat. The best thing you can do if you plan to germinate some of your own seeds is get an electric plant germination heating mat. Amazon has a lot different sizes on the internet here. You may be able to find them at one of your local nurseries (but not at a big box store). It will keep the soil evenly warm-in the 70-80’s°F range. My tomato seeds germinated in less than a week with them sitting on it inside the house. 3. 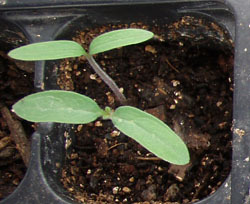 Plant tomato seeds 1/4 inch deep and put sand on top of them instead of the ‘soil’ (like play sand from Home depot or Lowes). This makes it easier for the seed to push through to the top. 4. Make a solution of Chamomile tea to ward off dampening disease. Dampening disease is a soil borne disease that sometimes attack seedlings right after they come up. You’ll know if if you get it because the new seedling wilts and dies. This usually happens when the first 2 leaves (called cotyledon leaves) pop up. I put one tea bag in a cup of hot water (like you would drink) and then when it is cool, transfer it to a little sprayer (like what you might use for your hair) and spray those new leaves. There are some properties in Chamomile tea that thwart off this disease-try it-it really works. After 4 of the true leaves, (they are the next leaves that come up that look like tomato leaves) I stop using the Chamomile tea. 5. Water from the bottom. This helps avoid getting ‘dampening off’ disease and also keeps the little seed from washing away when you water from the top. Put them in a sink or tray with some water and when the soil absorbs the water, it will look damp in top. 6. Transplant after you get 4 true leaves to the next bigger container. I’m assuming you start with small containers. Plant them deep-up to their first true leaves. They will root along the stem and become stronger. Every time you transplant up, bury your stems deeper. Always use disinfected pots-use 10% bleach solution to water to rinse your pots in. 7. Give them light. They need light and lots of it. If you don’t have a light box then put them in a south facing window and rotate them daily as they will lean toward the light. Be careful you don’t fry them with too much heat from a hot window. For those of you that have them under lights keep the lights about 2 inches above the seedlings and raise the lights as the plants grow. This will help keep them from getting ‘leggy’. 8. Give them dark. Yes that’s right. Plants need a period of darkness for photosynthesis to take place. I give mine 8 hours of darkness at night. Photosynthesis is the process where the plant takes the energy it gets from light in daytime and converts it into sugars as plant food. I have my lights plugged into a strip plug and the strip plug into a timer so I don’t have to think about it. 9. Use rock phosphate if your tomato leaves turn purple. Purple leaves means your plant is too cold. If your little tomato leaves start to turn purple (just look at the underneath side of a leaf), then they are cold and your soil is cold. They can’t access the phosphorus in the soil when the soil is cold. Get them to a warmer place and get some rock phosphate (which is a powder) and sprinkle some on top of the soil and water in. They will green up again within a couple of days. 10. Fertilize lightly. I only use thrive and diluted seaweed when I first transplant up and then only after the plant is doing well will I fertilize lightly with diluted fish emulsion. Don’t overdo it. 11. Grow thicker stems by brushing the plants. 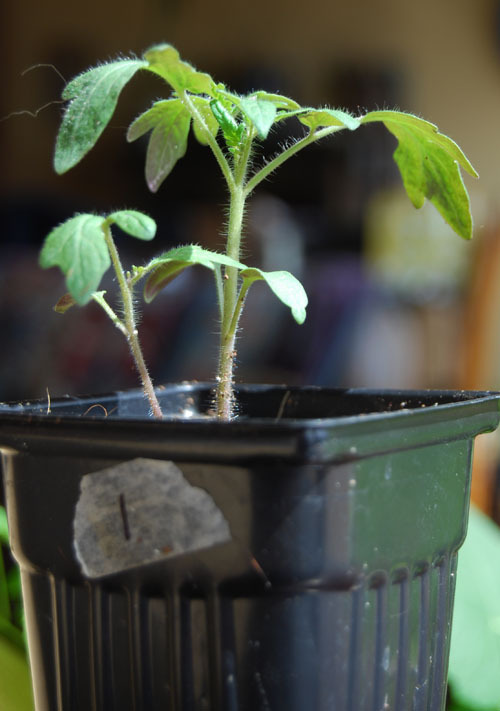 Make your tomato plants strong not leggy. You can make your plant produce stronger thicker stems by either brushing your plants with your hand when you walk by once or twice a day or put a fan on them (low speed). This mimics being outside where a breeze gives the plant a ‘work out’. 12. Keep planting up. Don’t let them stay in the same pot where they can get leggy. Once they outgrow their pot, plant up to the next size. I start with a little 6 pack and then plant up to a 2 inch pot then to a 3-4 inch pot and then to a gallon size pot if needed. I don’t use Mycorrhizal until I do the final transplanting into the ground. I will give more tips when we are ready to transplant outside.